inline, insertion, and retractor installations. 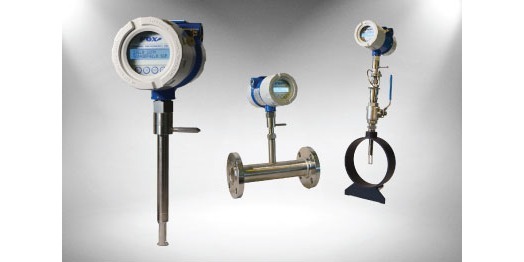 Image courtesy Fox Thermal Instruments, Inc.
Fox Thermal Instruments, an acknowledged innovator in thermal mass flow technology and instruments, has released a flow meter targeted for gas flow measurement in the oil and gas industry. The FT4X delivers a long list of advanced and useful features for flare and waste gas monitoring, gas studies, royalty and allocation, and general gas flow research. The instrument utilizes a constant temperature differential technology to measure gas or air mass flow, employing two precision RTD sensors. One temperature sensor follows the media temperature, while the other is heated by the instrument electronics to maintain a constant temperature differential between the two sensors. The amount of applied heat to maintain the differential is proportional to the mass flow rate. A linearized 4-20mA output signal is the final output of the transmitter. 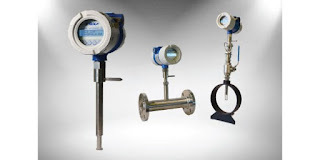 The flow meter is available for inline or insertion installation, along with another variant that features retraction of the instrument from the line without flow interruption. Various probe lengths accommodate line sizes to 70 inches. Flow bodies, flow conditioners, and other accessories are available to customize the instrument assembly to fit each application. There is a wealth of additional information provided in the brochure included below. Share your flow measurement challenges and requirements for process measurement specialists. Leverage your own knowledge and experience with their product application expertise to develop effective solutions. Thermal Mass Flow Meter for Oil & Gas Applications from Classic Controls, Inc.